Principal attorney Joshua Graubart is an experienced counselor and advocate whose practice focuses on the entertainment, media, and technology industries. Josh advises a wide range of clients in connection with copyright, trademark, entertainment and advertising matters at home and abroad. He has represented a German advertiser in securing the services of a top American recording artist in promoting the client’s consumer products in Europe, a European online music service in connection with its entry in the the U.S. market, and a Fortune 500 biotechnology company in negotiating new advertising and marketing agreements with its media and creative vendors. In 2012, he represented the buyer of a multinational cosmetics concern in connection with its acquisition, and in 2008 and 2009, he led the lender’s legal team in two multi-billion dollar loan transactions in evaluating and protecting the borrowers’ intellectual property collateral, and oversaw the recording of the lender’s security interests more than twenty countries, including some where such recording had never before been attempted. He regularly advises independent artists, authors, and creative entrepreneurs in connection with protecting and exploiting, and licensing intellectual property, including copyrights, trademarks, patents, and other sources of royalties and residuals. In addition, Josh is an accomplished litigator who has handled numerous contract and intellectual property disputes on behalf of major international cosmetics makers, industrial products manufacturers, technology companies, venture capital investors, and independent writers, artists, publishers and record labels. In the past few years, he has successfully represented three classes of copyright holders in federal court, achieving settlements totaling almost US$10 million. In 2007 and 2008, he represented a South American energy consortium in international arbitration concerning cross-border natural gas sales and transport agreements valued at more than US$100 million. He regularly appears on behalf of corporate and individual clients in litigation in state and federal court in New York and New Jersey and in arbitration and mediation proceedings concerning intellectual property, rights of privacy and publicity, and general commercial disputes. 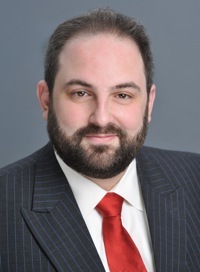 Josh has chaired the Information Technology Law Committee at the New York City Bar Association, and served on the City Bar’s Intellectual Property Council. He is currently a member of the City Bar’s Legal History Committee, and is active in the US chapter of the Association Littéraire et Artistique Internationale (ALAI), the leading international organization on cross-border copyright law, and the New York chapter of the Copyright Society of the USA. He has also published articles on intellectual property licensing, the effect of corporate mergers on intellectual property licenses, and the nature and practice of music copyrights. Prior to founding the Law Offices of Joshua Graubart, P.C., Josh practiced as a litigator with a number of international law firms, including Sonnenschein Nash & Rosenthal (now Dentons) and Thacher Proffitt & Wood. While still a law student, he also clerked in the Tokyo offices of Baker & McKenzie and the Kuroda Law and Patent Office. Josh is admitted to practice law in New York, New Jersey and California, in the federal district courts for the Southern and Eastern Districts of New York, and the District of New Jersey, and in the Ninth Circuit Court of Appeals. He is conversant in Japanese.